I’ve always found the most interesting bands in rock to be the ones who have had multiple singers over different eras. Blackmore’s Rainbow never did two albums in a row by the same lineup. 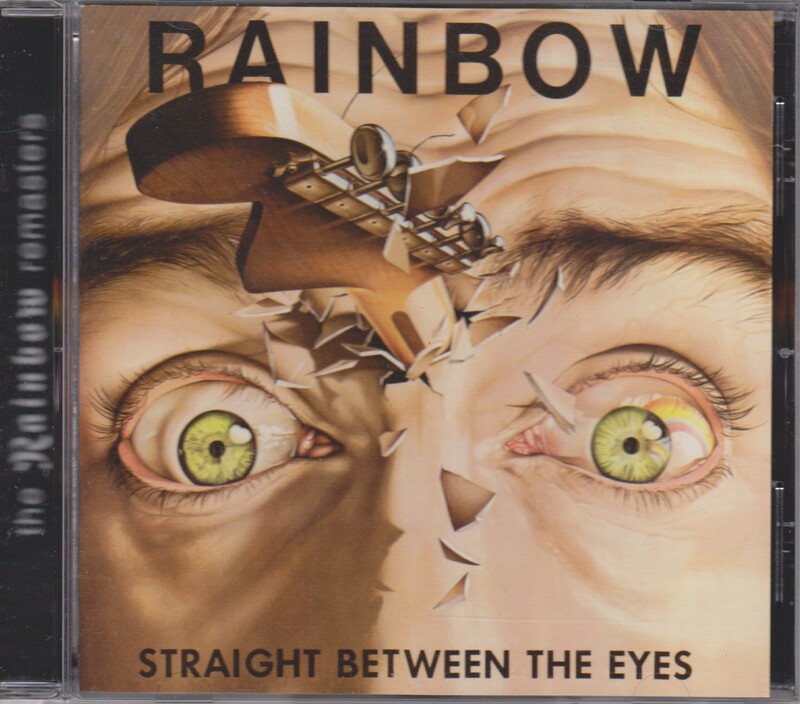 From Ronnie James Dio to Graham Bonnet to Joe Lynn Turner and beyond, Rainbow has been an ever-changing entity during its brief lives. Each era has much to offer, with the Turner years sometimes slagged as the weakest. It is true that ballads became a larger part of the Rainbow sound under Joe, but the turn towards the commercial was evident during the Graham Bonnet era, on Down to Earth. Although “Death Alley Driver” is the first track, the soulful ballad “Stone Cold” was the first single. It was a minor hit and still gets radio play today. The integrity lies in Ritchie’s smooth guitar, Joe’s always authentic vocals, and the classy organ backing it up. The song’s strength is in its unmistakable pulse, which is Rondinelli and Glover’s impeccable rhythm. Blackmore fans may have been aghast at the soft rock single, but “Stone Cold” holds up as a classy ballad from a spanking album. Sadly the music video was not the humorous pleasure the “Death Alley Driver” was. Turner looks stiff**^ and awkward searching through a hall of mirrors looking for a girl with a frozen face. Blackmore just looks disinterested. Straight Between the Eyes was produced by Roger Glover, as were the previous two albums. With Bobbi Rondinelli behind the kit, Glover extracted an even bigger drum sound, and it is up in the mix. Each track boasts a massive beat, even the ballads like “Tearin’ Out My Heart”. He provides a gallop, and that’s the extra kick the songs get. The album would not have been as forceful with a different drummer. * Something about that action-packed music video makes the music seem faster and heavier. ** During the Blackmore closeups inside the hearse, pay attention to the rear window behind him. You can clearly see from the trees behind that the car is not moving an inch! **^^ These are all good songs. No real duds on Straight Between Eyes. Two former members of Rainbow, David Rosenthal and Chuck Burgi have been part of Billy Joel’s backing band for the better part of the last 20 years. Hah! I had NO idea. That might be all you got but I had no idea. I was trying to get into Joel recently. Nice. I’ve never heard this one, although I really have a soft spot for ‘Stone Cold’. Who doesn’t? Joe really sings it out! Joes do that, you can depend on them. Rondinelli really does pound the drums! Saw him play in a small club once and his drum solo was amazing! I liked him with Sabbath, too. Even if he wasn’t “the” Sabbath drummer, I think he was one of the better ones, along Cozy. Was he not in the running for KISS at one point? Eric Carr beat him to it? P. S. Listened to this album on the bus home today after a total shiter at work. Went down a treat so thanks for the listening inspiration! Oh man. Sorry to hear about the shitter at work. I’m sick right now so I needed some Rainbow too. I rocked On Stage today in the car. YES Bobby was one of the names dropped for the Kiss slot, and so was Aynsley Dunbar! What would THAT have sounded like?? Bobby I could see because he has the Eric Carr vibe and I believe he’s also a new yawker. I really need to get On Stage… a big gap there! Didn’t know about Aynsley! I think Rondinelli would have worked great in 80s KISS… hard hitter like Carr. Dunno if he can sing though, reckon Eric’s voice (and charm) might have swung it his way. Yeah in a M.E.A.T Magazine interview, Dunbar was a name that Paul dropped as a great drummer that came out to try. I wanna say Cozy too, but I’ll have to dig up the magazine to confirm. Barry Brandt from Angel was also a guy Kiss had in mind as Criss’ replacement. I knew there were some connections with Angel. Cool! This album was my first intro to Rainbow in 82 so it’s my fav…Love the sonics! It was also featured on my Pickin Lebrains Week as I hadn’t reviewed any Rainbow yet! Hope they pump out something live from this tour in audio like the Boston 1981! Man Mikey is your site ever looking spiffy now….In the reader I have to click the link to your site to get the full meal deal now! I use reader all the time especially to keep up with that maniac Aaron and his Blizzard Of Posts! Hahaha….all good though….. Saw Rondinelli a week ago with Axel Rudi Pell. You might not have heard of him, but he makes an album every year or two very much in the 1970s/1980s hard-rock style. I was also impressed by his singer, Johnny Gioeli. Oh yes. I know Axel Rudi! But I didn’t know Bobby or Johnny Gioli were with him! Bobby still has the gong! Although I prefer Difficult To Cure (my introduction to Rainbow in 1981), I enjoy this one nearly as much. I also loved the album cover when it was released. Now I think it’s a little silly but it’s a product of its time. Gotta love JLT’s voice. I once said “If I could sing like anyone in the world, it would be JLT”. I think that’s still true. He’s very versatile as a singer. I just got the Rainbow Boston ’81 CD that Deke mentioned and he’s able to do it all. I find recommendations that incorporate song titles the most convincing! I’m trying not to lean too hard on that technique but sometimes the jokes write themselves! I’ve always preferred the Dio era of Rainbow but my all time favourite Rainbow song is Death Alley Driver. This album is underrated indeed. I think mine is Stargazer, but Death Alley Driver was the FIRST Rainbow I ever heard. And you just have to love that video, right? Honestly has Blackmore ever looked more cool than he does in this video? Well J if you lack Rainbow studio albums, this is a great place to start. Was it my first Rainbow studio? I think it’s possible! But the Dio stuff is Ace. I come here for the information, but I stay for the word play! Excellent, another Rainbow release for me to watch for… life is good! Wanted to add, I’m digging the new layout. It takes me one extra click in the reader to get here (I have to choose to see the full post, where the old one had the whole text at one click) but it’s no biggie, other sites have that too. It looks sharp! Thanks dude! I am not sure how to get everything the way I like it. It’s still a work in progress but as long as it’s functional I’m good with that! Oh did you see my shout out to you in the bottom? ;) Catchphrase! I don’t know this stuff at all, and I do wonder – how did you come to it? Haha, sometimes I wonder the same about obscure movies you cover! The answer is Deep Purple. Two of these guys are Deep Purple members. Later the singer joined Deep Purple and the drummer joined Black Sabbath. There are umpteen bands in the DP family! I saw Joe Lynn Turner a couple of years ago. What does he have in common with Jeff Beck, Steve Hackett, and Ritchie Blackmore? The fact that it is at least possible that they have been wearing toupets for years. Phillip, this was very entertaining! (And not surprising!) However I can guarantee you this — my own hair is 100% real and still intact! A good record, but a bit uneven, I think. I never really got into Stone Cold, it’s too cheesy, I think. I think Bring On The Night and Eyes Of Fire are the stand-out tracks from this record. Jompa as usual thank you for these awesome comments. You named two really awesome songs there. Eyes of Fire really sort of foreshadows what would come later with Slaves and Masters, an album I like a lot. Great album,….. like the new website look too. Always wondered why Glover joined and produced Rainbow, after what happened with Deep Purple, and why Blackmore would want him in the band.